Funnily enough, we actually met up with Seaway during a Vacation — the name of their latest album — between supporting the 15th anniversary tour for Sum 41's Does This Look Infected? and a Canadian headliner. We wasted no time putting them back to work performing acoustic renditions of "Lula on the Beach" and "Something Wonderful" for our No Future YouTube channel. 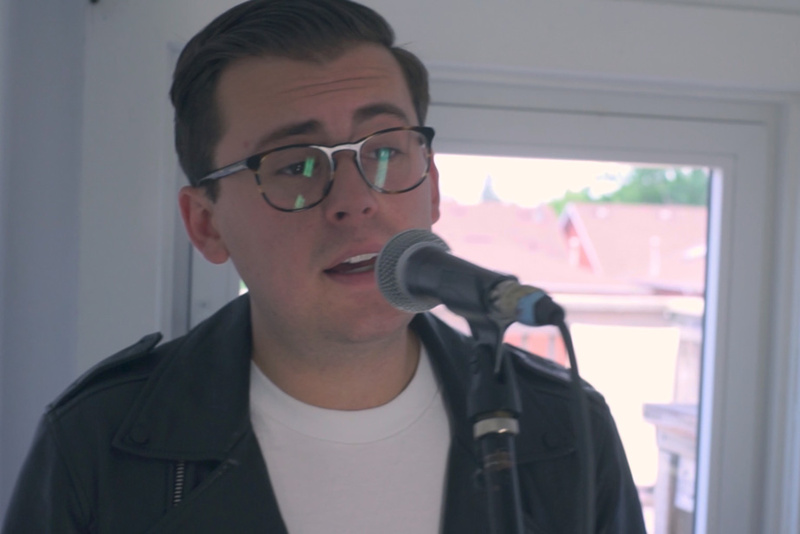 The Oakville, ON pop-punk band stripped them back, though not too far. While many of our musical guests opt for guitars and vocals exclusively, the Seaboiz maintained percussion via cajón and even some Casio keyboard action on "Lula." Sure, they recently dropped an official music video for an acoustic arrangement of that song complete with dogs — potentially even one with the titular name — on a beach, but our arrangement shines a light on their prowess and lack of studio trickery. The other song, "Something Wonderful," is exactly that, maintaining the Weezer-esque verse but trading in its bouncy pop-punk chorus for a much more subdued one. You can check out both in the players below, and don't miss the band's Canadian headline tour dates (all supported by Bearings, with additional regional support) on your way down.